Excessive heat or too cold of temperatures can make a place uncomfortable to reside in. A lot of devices have thus been developed to regulate temperature in one’s home. You may check out the comfy buddy for a comprehensive guide on the selection of temperature regulation devices. Below are also a few tips you may use on the same. If you live in a hot area, you may want to consider investing in an indoor fan which will help keep air currents moving smoothly in your house. An indoor fan is pretty effective as it consumes little amounts of energy but helps to keep the room fresh and airy and eliminates that stuffiness in your home. 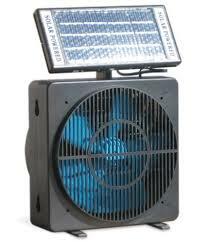 The advantage of indoor fans, also, is the fact that you can switch them on and off at any time, depending on the temperature of the house. They thus grant you flexibility and control. They can also be regarded as a form of décor since some fans contain provisions where you can place bulbs which will create a beautiful effect. This technology has been around for so many years due to its efficiency and ease of use in regulating temperature. People have air conditioning installed in so many places, be it in their cars, offices, and now even their homes. The technology allows you to set the exact temperature levels that you would want in your house, and thus you can increase or decrease the temperature, depending on the weather on that particular day. These are devices that help to keep the air in your home moist. They help to regulate temperature since they can also be used to keep the air in your home warm. Some humidifiers work by emitting warm mist into the atmosphere of your home which will create conducive, warm temperatures. Humidifiers not only help to regulate temperature, but they promote optimal health as well. According to CNN, the moist environment that humidifiers create is useful in protecting you against the flu since the influenza virus cannot survive in such an area. A moist atmosphere will also prevent your skin from drying up and you from getting chapped lips. Avoid placing furniture or heavy items around your air vents. This is based on the fact that placing such items on top of your air vents will advocate for the collection of dust and fur around them, thus restricting air flow. Keep the areas with air vents clear will help to ensure that the air currents flow freely around your home and that dust or such like particles will not gather in the air or on your tables and home items. This helps to regulate the temperature in your house. This may seem like a pretty obvious and simple thing to do, but it is a fact that many people tend to ignore. Windows are pretty helpful in letting air in and out and it is thus advisable to open your windows every morning every day so as to let in fresh air into your home. This will keep your environment cool and comfortable.